EIZO is proud to present the new ColorEdge CG279X, the new top-of-the-range model in the 27-inch class. Thanks to the preinstalled HDR presets for HLG and PQ gamma, this new monitor is optimally equipped for professional use in video post-production, pre-printing and image processing. The improved, built-in sensor with a validation function makes the CG279X the top choice for pre-press work. 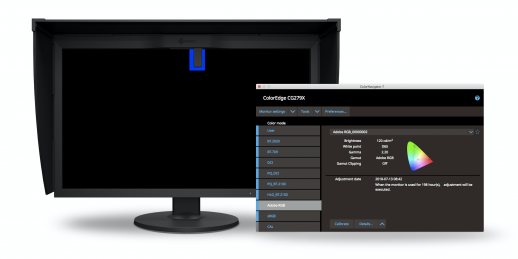 Together with the ColorEdge CG279X, EIZO would like to present the ColorNavigator 7, the newest version of the in-house calibration software. ColorNavigator 7 replaces the ColorNavigator 6 and the ColorNavigator NX.